Two's company, three's a crowd, but in the Mantis 3P Plus, you won't ever feel crowded. The roomy and versatile Mantis 3P Plus doubles as a tent and shelter ideals for hanging out while backpacking or even at a festival, thanks to the single super-size double door and large removable front vestibule that coverts into a roomy awning. Two&apos;s company, three&apos;s a crowd, but in the Mantis 3P Plus, you won&apos;t ever feel crowded. 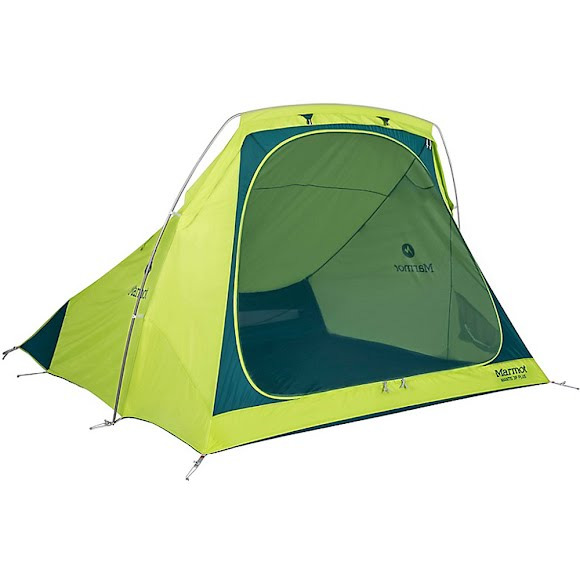 The roomy and versatile Mantis 3P Plus doubles as a tent and shelter ideals for hanging out while backpacking or even at a festival, thanks to the single super-size double door and large removable front vestibule that coverts into a roomy awning. Weatherproof seam-taped full coverage fly with top vents and rear lower vents provide a comfortable shelter that will be the envy of the rain-soaked crowd, while thoughtful interior features makes this tent a livable and organized space. Stuffed Size 24" x 9"